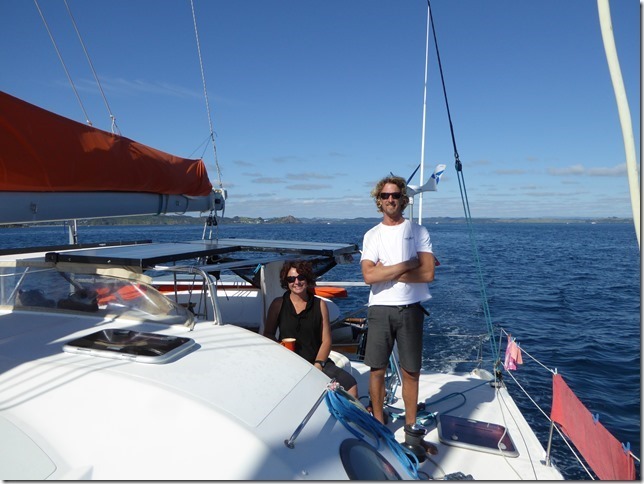 We moved about three km S from the Bay of Islands Marina to Malcolm and Helen’s house and we stayed with them for about 10 days. It was great place to base ourselves from and we were well looked after, getting some good steers on what to do around the area. 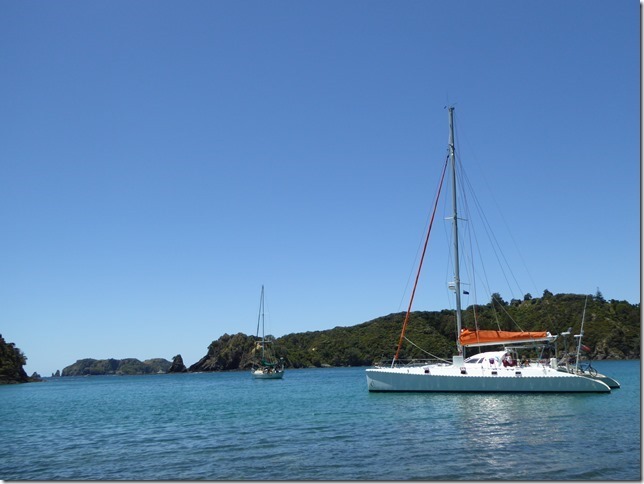 We got the chance to see a bit more the Bay of Islands by way of an invite out on Tika. 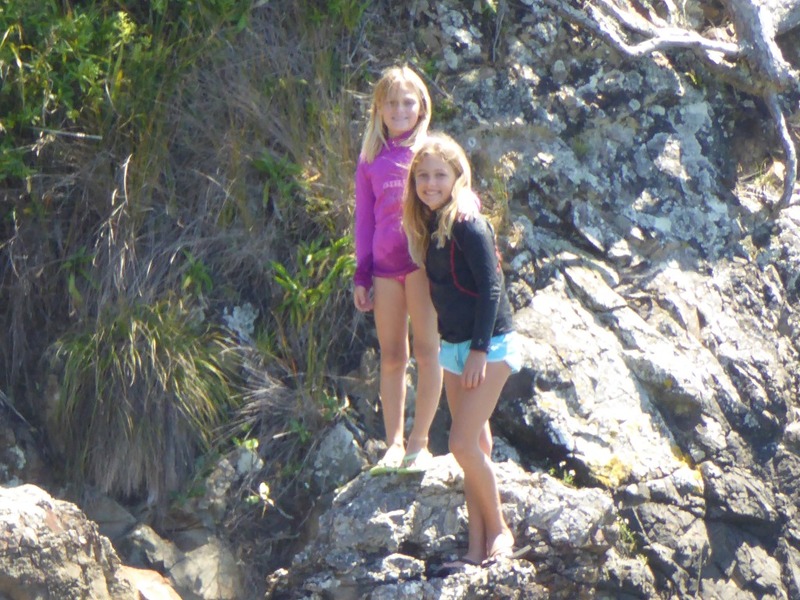 We lucked out on the weather and had a great day, exploring Moturua island and playing on the beach. 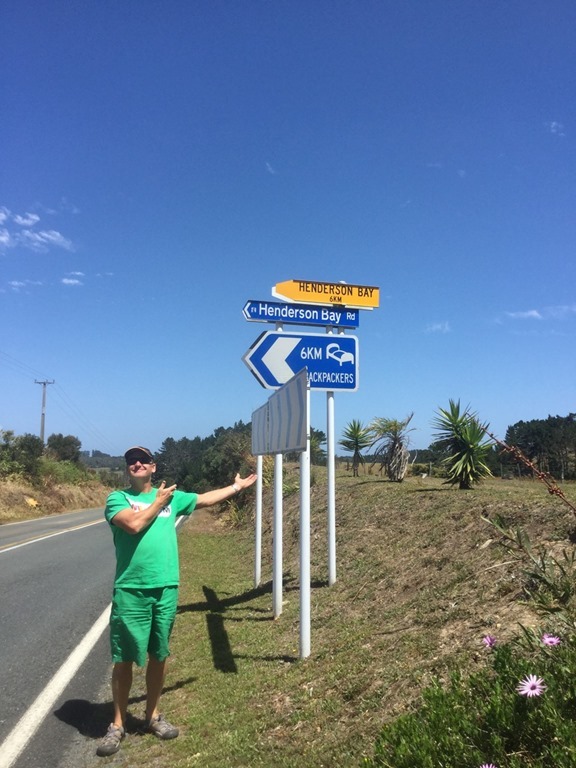 The walk around the island is well worth doing and takes far less time than suggested on the signs. we ripped around it in less than half the time it was supposed to. 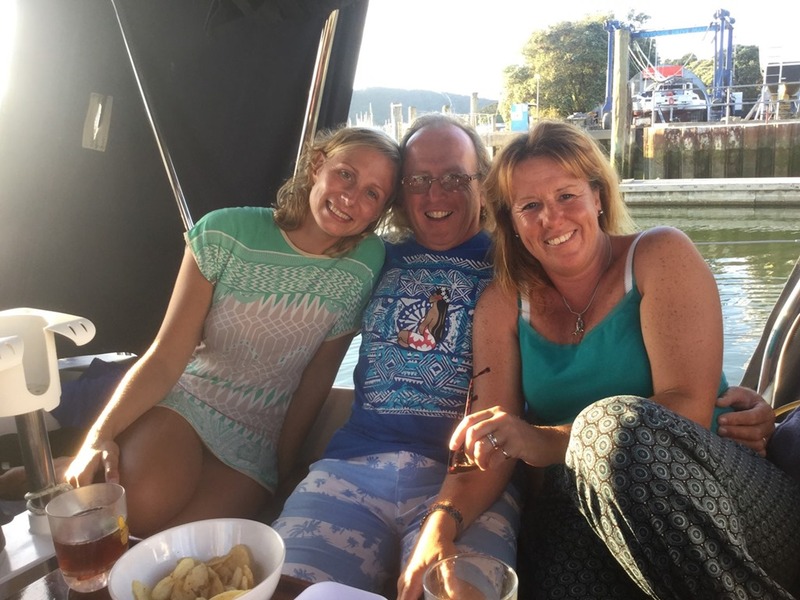 I’m not sure if we were supposed to take more time on the beach on the W side of the island or we just aren’t fat Americans…..
We ended up staying in the Opua area longer than we planned. When we were in the Tuamotus, Eleanor had snorkelled above me whilst I dived. Having had a taste of the world underwater using Almost There’s hookah diving system and being our walking encyclopaedia of tropical fish, she was continually at me at the end of my dives to use my regulator “to have a go” before I got back in the dinghy. 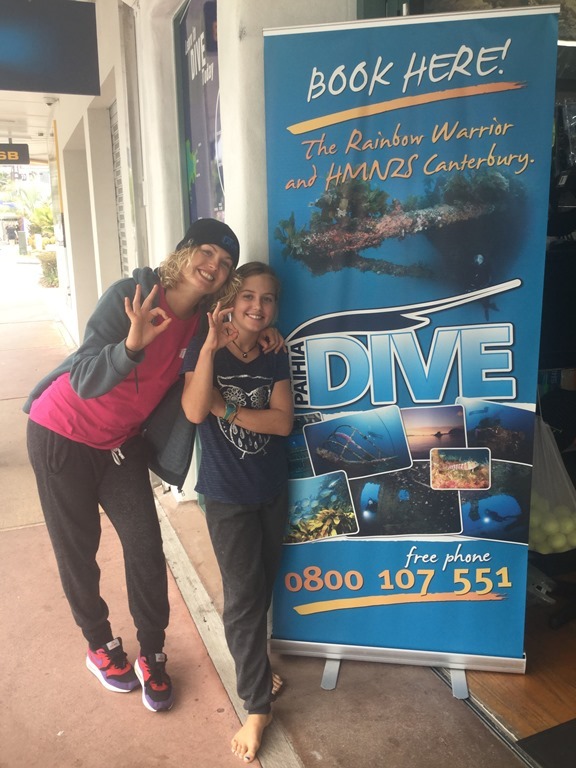 Once in NZ, I saw that the local school I was intending to dive had applied the new PADI rules and would teach children at 10. After a bit of discussion between Lou and myself, we signed Eleanor up for the Open Water course. Eleanor, we thought, would be able to take the discipline required for diving – if given a rule or procedure she follows it. Our real only reservation was the temperature of the water. At 16C, it would be a challenge for someone so small to stay warm. I shouldn’t have worried. Her instructors were somewhat surprised at how enthusiastically she threw herself in and although she admitted to being a bit cold at times, she just got on with it without whinging. Good girl! 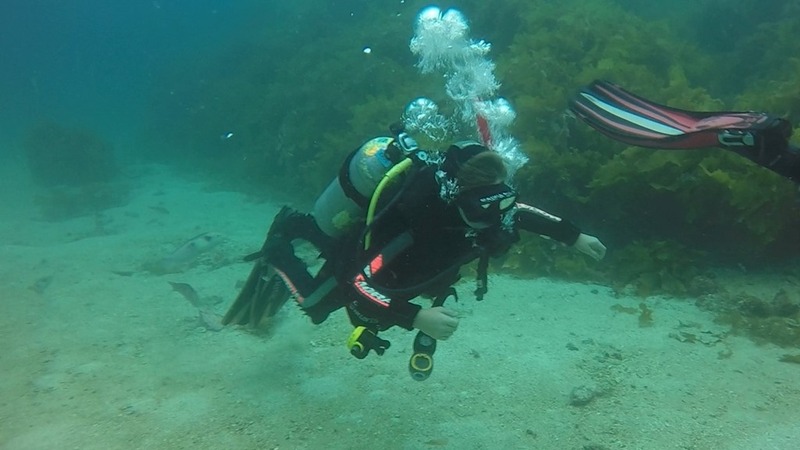 Having smashed her exam the day before, I dived with Eleanor on her last qualifying dives and was impressed with how well she managed her buoyancy. She is still excited enough to be carrying far too much weight but that will come down in time and helped as she moves to lightweight shorties back in waters warmer than she experienced here! She finished her course exhilarated and quickly became even more so after we bought her her own BCD. I will have my own diving partner when we get back up to French Polynesia!. Our thanks to Faye, her instructor and the PaihiaDive owner, Craig for looking after her so well. We also went looking for a first and second stage and dive computer and have organised them to be sent from the UK. Sadly it is less expensive to buy diving kit in the UK (or USA) by about 30-50% for brand names and have it sent here, even when paying the import tax. Stupid pricing rules being applied. Whilst Eleanor was diving, Lou and Hannah spent many a happy hour in the Op shops around the area. Hannah’s wardrobe is growing at an alarming rate but her taste is pretty good. It is just as well we will be giving all the clothes she has been picking up back to one lucky Op shop before we go. They alone would be over her baggage allowance! They even managed to get some culture in too. 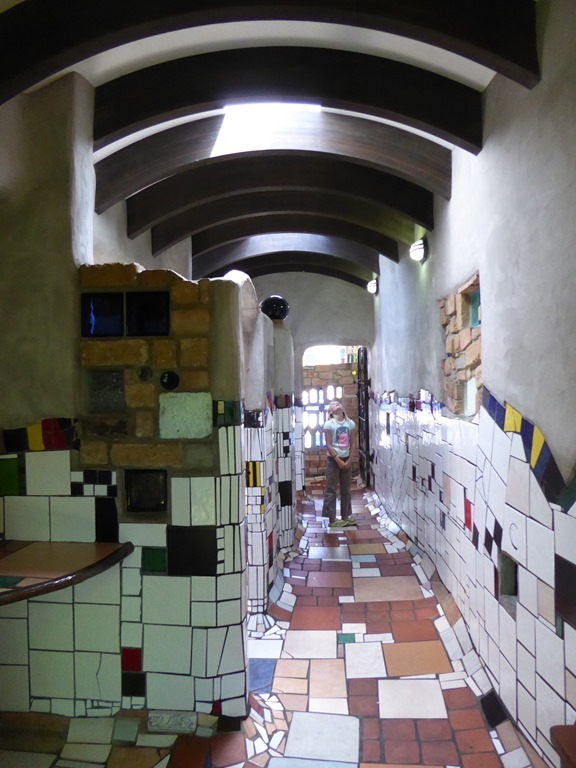 A famous artist, Hundertwasser, was given the opportunity to personalise the local toilets in Kawakawa and using recycled material, he did. 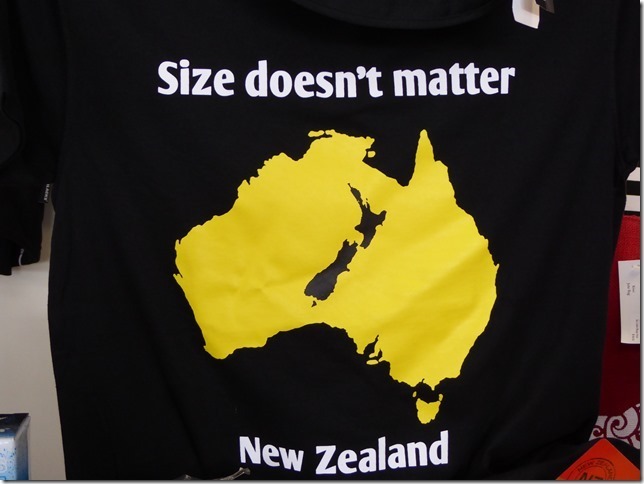 They are now a major tourist attraction. I drove Starcharger’s new car down to Whangerie whilst they sailed down. We left the girls with a sleepover with Tika (thanks, folks) and Lou and I got to meet Mia, coming to the end of her tour around NZ with the (officially) new man and all round good bloke, Christian. We had a great night and I am sorry to say that we broke Christian. More practise required, mate! 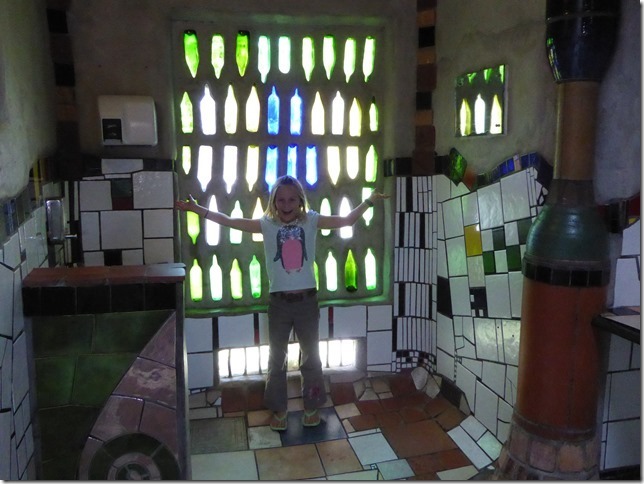 Mia has now headed back to Denmark and the realities of job (boo), clothes (yeah!) and a few weeks holiday a year (definitely boo!). We look forward to seeing us hook up with her and Christian again once we hit the UK next year. In an attempt to pay back a little of their wonderful hospitality, I had more fun in Malcolm and Helen’s garden, cutting down a lot of gorse, chopping down a couple of trees (proper big ones too) and mowing up and down their hilly garden. I think I left them well pleased with my efforts. They do have an extra couple of hillsides that they can walk up now and perhaps more chance to keep it in check than before. We said our goodbyes after an excellent final night’s BBQ and clutching a huge jar of active Manuka honey as a leaving present, headed N in the company of Quatsino and Starcharger. Time to explore N Island!